Student, Ciaran Grace, and Dr Kurt Lampe discuss the benefits of studying for a Classics degree. Classics is an ideal environment for anyone who is intellectually curious. Academically, the department covers everything from Latin and literature, to critical theory and ancient philosophy, reflecting also on the parallels with modern post-classical texts, art and even popular music and cinema. 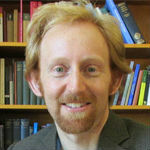 For Ciaran Grace, the eclectic nature of the curriculum was a major draw in selecting Bristol University over any other. "I've always been interested in the ancient world and wanted a course that offered some variety," says Ciaran, a final year BA Classical Studies student taking core units in History of Thought, Latin, Tragedy and Selfhood, as taught by Dr Kurt Lampe. Both agree that the intellectual motivations of both academic and student combine to provide a mutually enriching learning experience, most often in the form of lectures that revolve as much around discussion as they do around the traditional lecture format. "You want to expose students to new things and you hope that they will be excited by what you choose to bring to the class," says Kurt, who consciously chooses texts that will challenge the students by exposing them to new modes of thinking. "Students will go from not understanding anything at all to very easily and spontaneously being able to recombine the ideas they found in the theorists when presented with a new piece of drama." The interactive style of learning is an important part of the transition to university life, for undergraduate students in particular. "We'll be given a particular passage of a text, from Dante or Paradise Lost for instance, and asked to discuss what we think of it as a group," says Ciaran. "You learn so much more by being able to talk to students and lecturers on the same level." As well as seminars and tutorials, there is a regular Latin dinner. 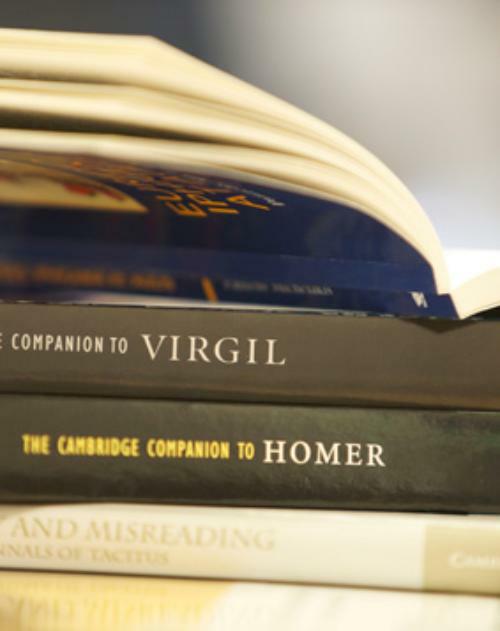 Added to that, students can put theory into practice by joining one of the many societies linked to the Classics Department, and the wider School of Humanities. For Ciaran, that combination of the practical and theoretical has helped refine his future plans. Inspired by a newfound appreciation of the technical craft of storytelling, he hopes for a career as a fiction writer: "It's important to do what stimulates you; you have to be able to maintain your workload but it's key to keep in your mind that doing other things will ultimately complement your work." Classics is an ideal environment for anyone who is intellectually curious, adds Kurt: "Academically it's very intensive, but there's also a lot of time to expand and explore as people. That's an important part of university life: discovering who you want to be."